Dr. Branemark set out to study the bone healing process. In 1952, as part of a research study, he and his team inserted viewing devices into the bones of rabbits. These viewing devices were covered in titanium and were meant to offer visual insights into the healing process of bones. When the study ended, it was time for the viewing devices to be removed. However, something interesting happened: the titanium had fused into the bones of the rabbits and the devices could not be taken out. Dr. Branemark called this process osseo-integration, or fusing with the bones in simple terms. Because of these developments, the good doctor realized that titanium could be used in many fields of science, including tooth replacement. As with many great discoveries, Dr. Branemark’s idea was not initially embraced by the medical community. In fact, even after 20 student volunteers had titanium inserts placed in their upper arms, the medical community continued to be skeptical. Eventually after about three decades, Dr. Branemark’s implants became accepted as clinically safe and effective. For the past thirty years, implants have undergone significant improvement to make them as natural-looking and natural-functioning as real teeth. It is important to note the very crucial role that Dr. Branemark played in advancing implantology as a viable and acceptable tooth replacement option. 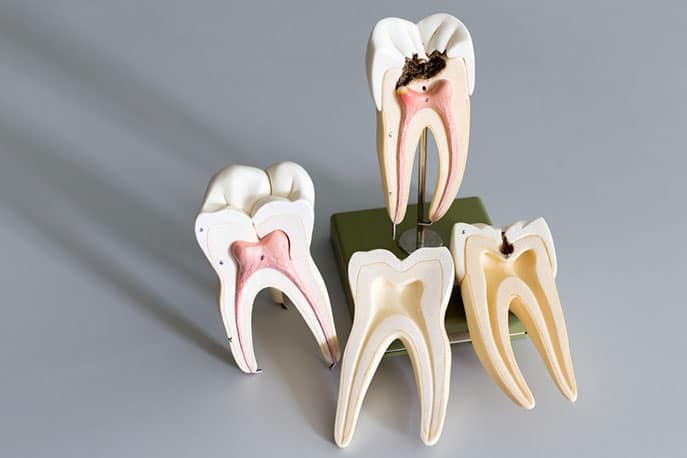 Before implants, there were few options for tooth replacement. The available options, including dentures and bridges, were not only very short-term but required a lot of maintenance as well. Dental bridges in particular have the disadvantage of requiring the filing down of the enamel of the adjacent teeth, which could lead to a root canal and as you know, no one loves those. Fast forward to today and losing your teeth does not mean foregoing the little pleasures of life, such as enjoying a good meal without worrying about your bite. With implants, you can have a new lease of life within 6 months after losing your teeth. This is the period within which your artificial titanium roots will have fused with your bone, allowing the crown to be attached onto it. While you might not have known the name of Dr. Branemark before, it is clear as day that his legacy lives on in the millions he has impacted with his life-changing discovery. With a success rate of 95 percent, it is safe to say that dental implantation is here to stay, and all thanks to Dr. Branemark.